Pioneers in the industry, we offer designer slipper, fashion slipper, ladies fancy slipper, ladies flaters, poddar women's hill slipper and stylish ladies slipper from India. 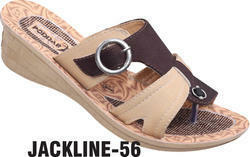 We are leading manufacturer and supplier of Fancy Ladies Chappal. We are engaged in manufacturing, supplying and exporting Designer and Fashionable Footwear. The footwear offered by us is widely known for its features like lightweight, non-slippery sole and water resistance. 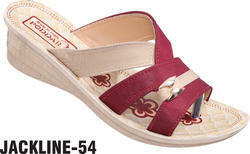 Being a client centric firm we are involved in manufacturing, supplying and exporting a wide range of Ladies Footwear. We manufacture these by utilizing advance techniques and using high grade material in compliance with current trends in the market. 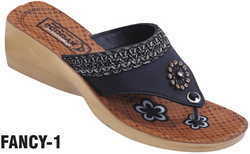 Offered Ladies Footwears are widely used and well known in market due to their reliable nature.